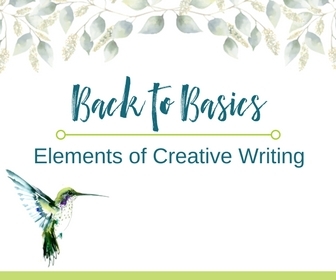 My most popular workshop at The Loft Literary Center is Back to Basics: Exploring the Elements of Creative Writing. In this online class, we will explore essential building blocks of creative writing through interesting lessons and fun exercises. Each class is completely devoted to one element of story to sharpen your skills in that area. Whether you need some fixes for common plot problems or want to brush up on dialogue, these targeted classes will provide you with the strategies and techniques to increase the depth your writing. Join my list (and get my occasional newsletter) to be the first to hear when registration opens again.